064 - SBJ, Travis, and Saul team up to talk about news. Travis goes through his Extreme Speed test course. 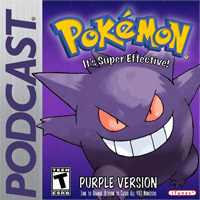 We cover the Bug Gym Leader's (Grey) Featured Team, answer a quesetion on glitches, and take over PKMN of the Week! Enjoy all! In this weeks epsiode, SBJ talks to Travis and Kenny again. We go over our thoughts on Diamond/Pearl. We also go over Gym Leaders, Glitches, and a TON of news. News that even involves Soulja Boy. Also, we do Pokémon of the Week! What's it's name again?